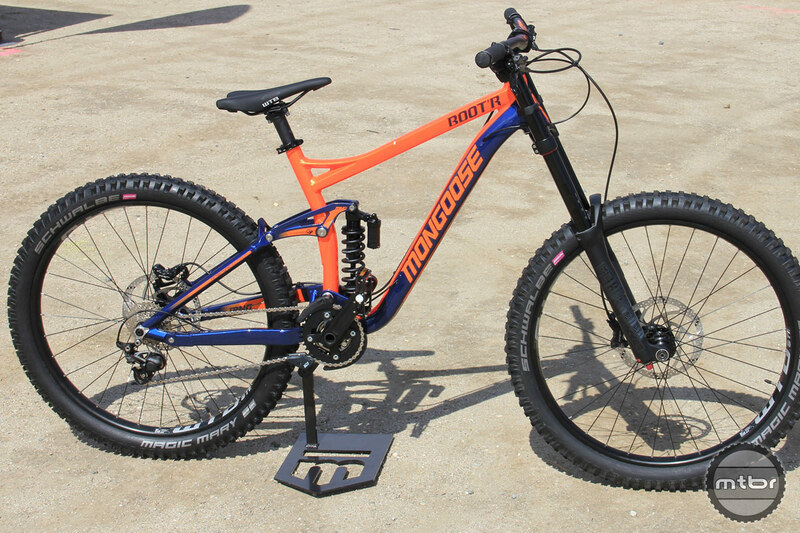 The Mongoose Teocali, a 160mm enduro bike. Mongoose has more bikes than you can shake a stick at, yet do not typically appear on a lot of rider’s radars. There are three core models, which all cost less than $3000. 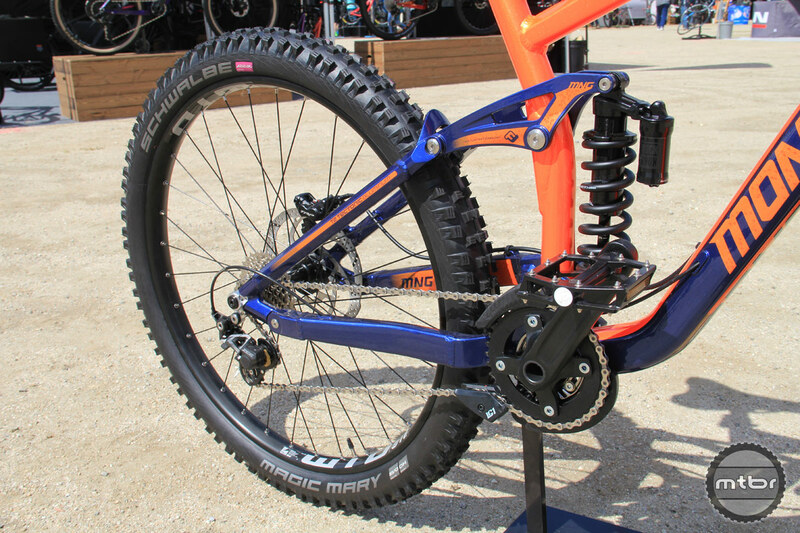 Mongoose utilizes a horst link design with floating shock and have modified their chainstay pivot to reduce brake jack. Their hydroformed alloy frames utilize a combination of internal and external cable routing. 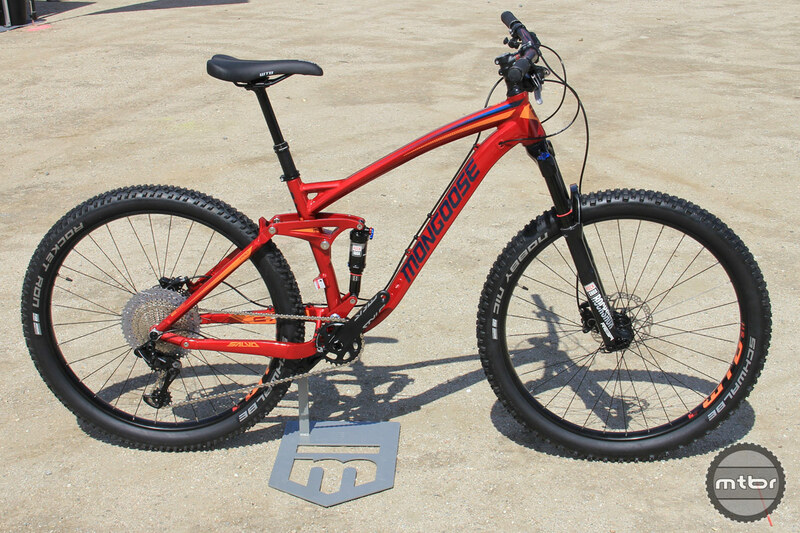 Mongoose Teocali, 160mm enduro bike. The Teocali is a 160mm enduro bike that runs 27.5 wheels and clears tires up to 2.6. It’s spec’d with Shimano SLX brakes, a SRAM Eagle GX drivetrain, Fox 36/DPS suspension, and sells for $2999. Mongoose Salvo, 120mm 27.5 XC bike. In the XC bike category, the Mongoose Salvo is the choice. It is available with 29er or 27.5 wheels, with travel of 100mm and 120mm respectively. Mongoose Salvo, 120mm XC bike. 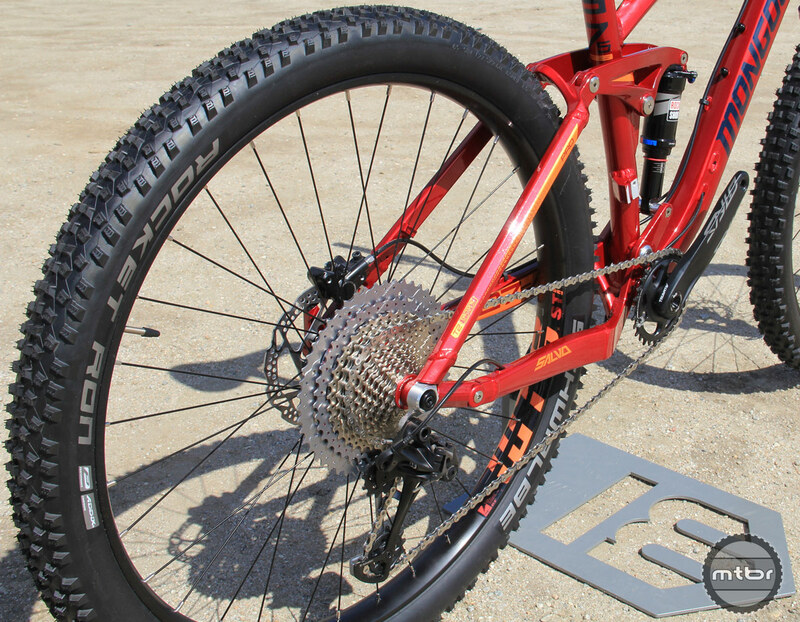 The 27.5 bike comes stock with 2.6 tires, while the 29er narrows to 2.35. An Eagle drivetrain is on the Pro model, pictured. Price is $2399. Mongoose Boot’R, 200mm DH bike. The Boot’R is an exciting bike we expect to see at bike parks this summer. The build is dialed and price point low, at $2499. 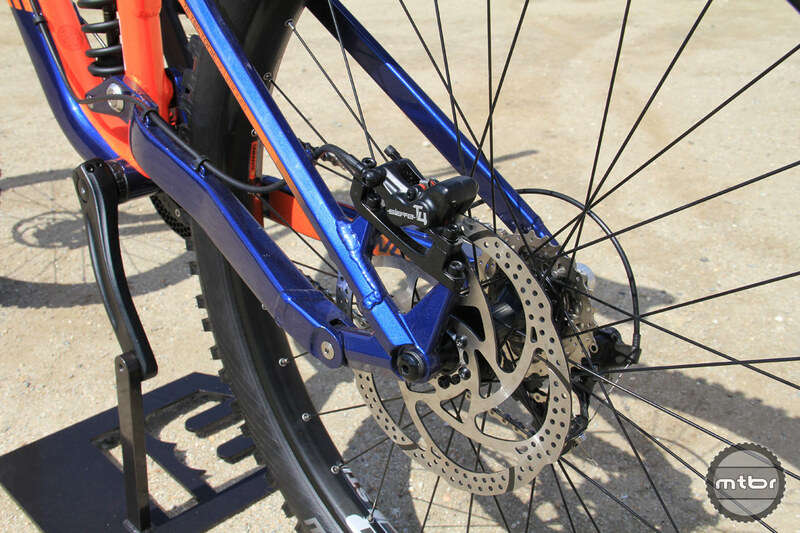 The 27.5 wheels are suspended by a RockShox Boxxer and Super Coil Deluxe. 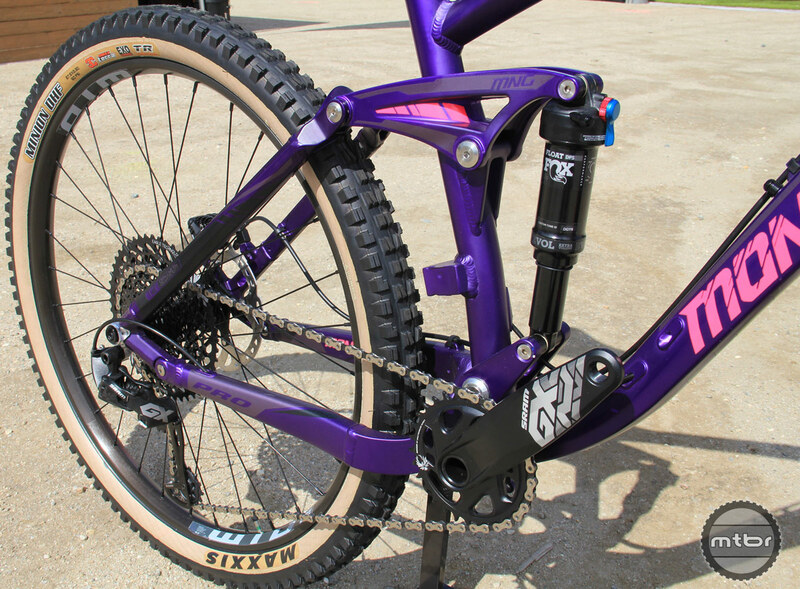 Mongoose Boot’R, Zee derailleur and RockShox Super Coil Deluxe. A Zee shifter and derailleur wrap a KMC chain around the Sunrace 10-speed cassette. Tektro was selected for braking duties. That name might be unfamiliar, yet that is the same company who make TRP, which handle stopping duties for Aaron Gwin and the YT Mob team. Find more information about Mongoose at www.mongoose.com. Mongoose Salvo, 120mm 27.5” XC bike. 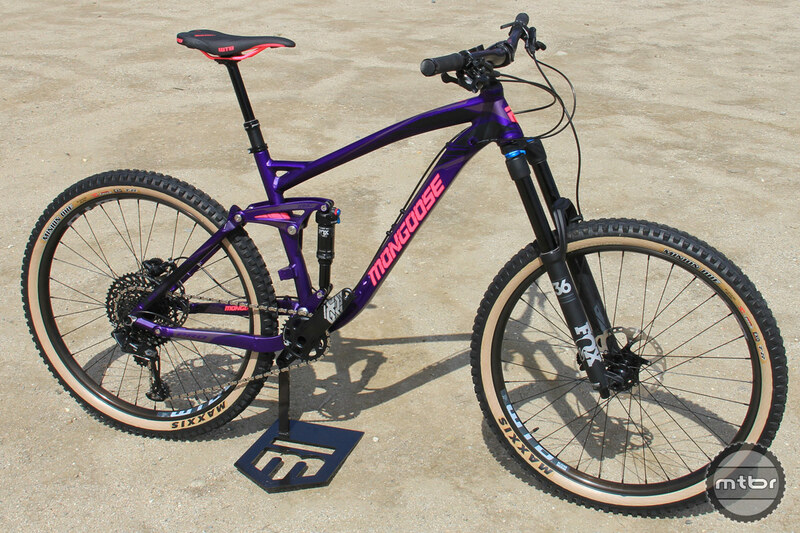 Mongoose has made some decent bikes every now and then, but their only consistency has been the low-end, – too bad. These look decent, I wonder where they will be assembled & sold?, hopefully at a store that can point the brake levers in the right general direction.